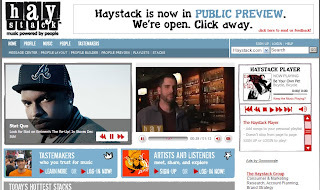 Haystack is a music social network that developed to help people find music based on trusted opinions. It has two parts for register: one is for listener, you can search different music or artist, and listen music. Another one is for artists, they can show fans their talent, and sell music online.